A single colour design using a silver ink, hand screen printed on a 100% combed organic cotton black tote bag. 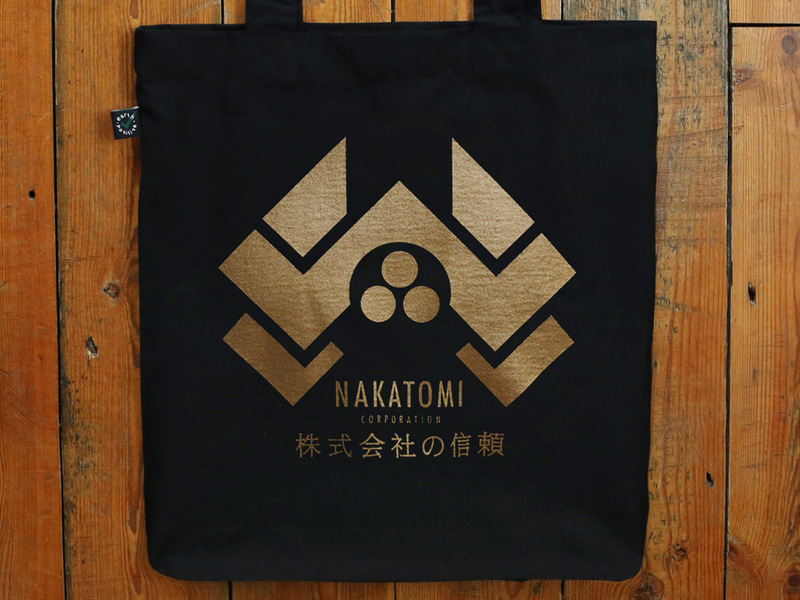 Inspired by the fictional corporation featured in Die Hard, the 1988 American action film directed by John McTiernan and starring Bruce Willis, Alan Rickman, Bonnie Bedelia and Alexander Godunov. 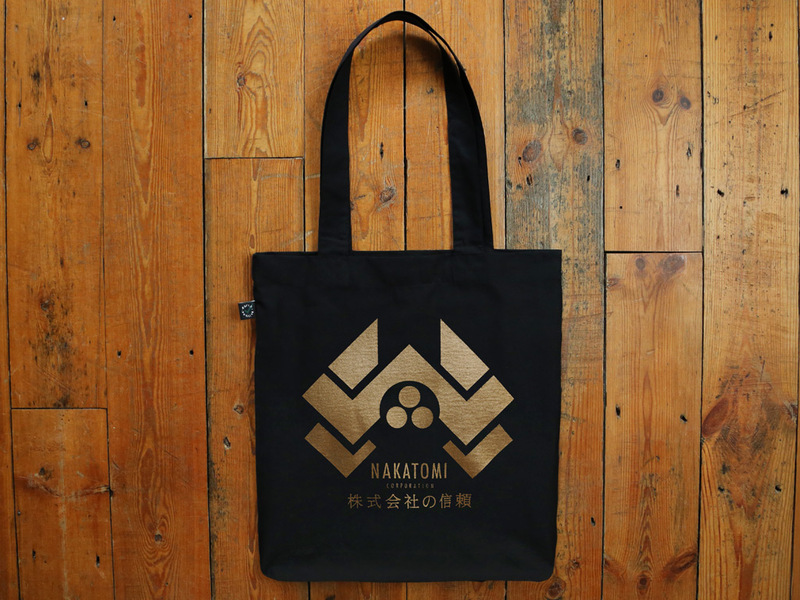 Tote bag dimensions are 380mm wide x 410mm deep. The top of the bag to the apex of the handle measures 380mm. The 100% cotton fabric is of a 140gsm weight.